A collection of 10 of the best vodka drinks in the world. NEW YORK (TheStreet) -- So you have all of these bottles of vodka lying around, but don't want to drink it straight, so you need something a bit different. Or maybe you have a few go-to recipes that you're growing tired of, and you're looking for another way to prepare your vodka. There are countless recipes for vodka drinks, and this list attempts to surface a few of the best ones. The vodka recipes that follow come from a variety of sources, some drinks are specific to individual bottles or flavors with a few classic drinks. The list isn't quite definitive, as it's almost impossible to find the best recipes that work for everyone. No two people will likely exactly the same drinks, so there are bound to be a few on this list you might not like. This list can only promise to hold a few of the best vodka drinks we were able to find that might appeal to a wide swath of people. 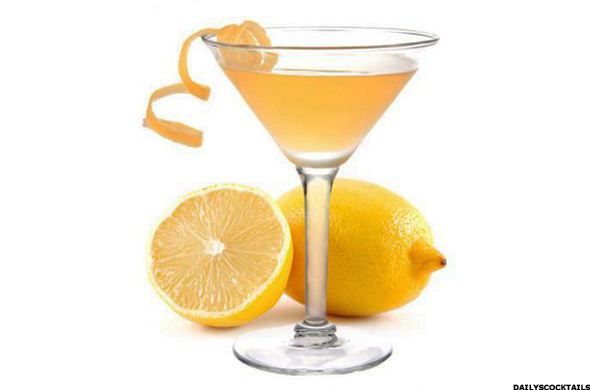 The lemon drop martini is a simple, yet popular drink that almost anyone can make. Typically served with a bit of sugar on the rim of the glass, the drink is both sweet and a bit sour. There's no preparation beyond combining all the ingredients, simply pour them all into a glass, and preferably one with a sugar rim. 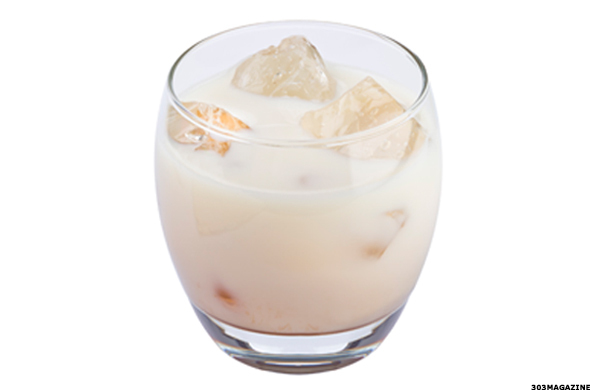 The White Russian is a classic vodka mixed drink that's also incredibly easy to make. This particular recipe for the classic drink comes from Smirnoff, though you can make it with any brand of vodka that's handy. To make the drink, start by mixing the vodka and liqueur in an old-fashioned glass filled with ice, stir, and top it off with the heavy cream. Like the White Russian, the Black Russian is a simple drink that anyone should be able to make. The idea for the drink comes from Grey Goose, though you can use any vodka you prefer or have on hand to make it. 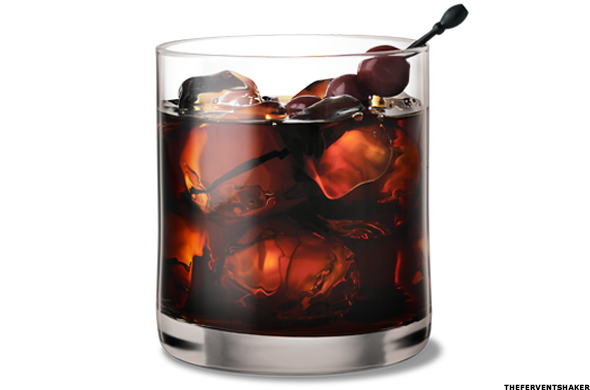 The Black Russian is bitter and sweet, and Grey Goose says it's best as a night cap, or just any time after dinner. To make the drink, simply build the it in a rocks glass, add ice cubes, and stir. 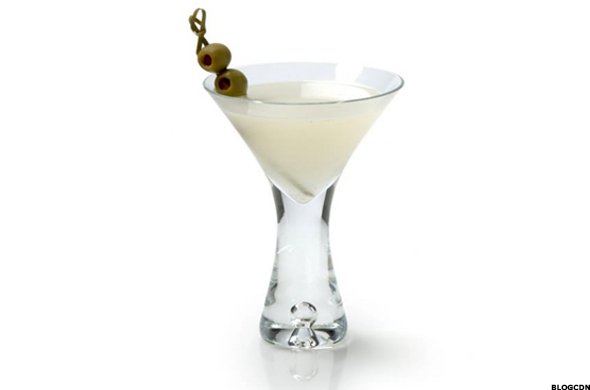 The Dirty Martini comes from Grey Goose vodka, which describes the drink as dry and savory. The "dirty" in the name comes from the olive brine and muddled olives used to make it. To prepare the drink, pit four olives and muddle them with olive brine in a Boston glass. Then add the vodka and vermouth, top with ice cubes, and stir. Finally, drain the drink into a chilled cocktail glass, and garnish with Mediterranean olives. The Caramel Spiced Tea comes from Smirnoff, and as the name suggests, it blends caramel-flavored vodka with chai tea. The drink is a good choice for those who prefer tea to coffee, or who just want something a bit different. To prepare the drink, shake all of the above ingredients with ice. Then shake and pour the mixture into a double rocks glass. Finally, drizzle with caramel. The Light Pomegranate Berry Punch might have a bit too much berry for some people, but it's a great drink for those who don't mind something with a bit of a fruity flavor. 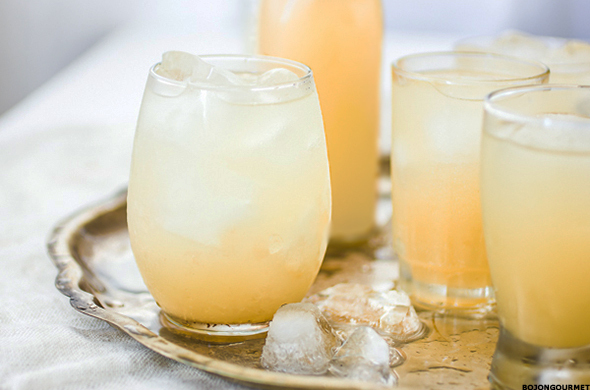 The drink is served in a highball glass, and is simple to make. To make the drink, simply combine the ingredients in a highball glass, squeeze in the lime, and stir. The last recipe from Smirnoff on this list, the Honey Cider is a great drink for anyone looking for an apple-flavored drink, but who doesn't want a hard cider. 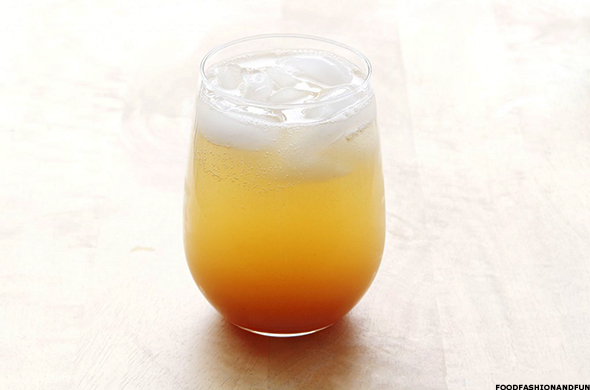 As the name implies, the drink adds a bit of honey flavor to the apple. To make it, simply shake and serve over ice in a highball glass. As the name suggests, the Effen Black Cherry Bloom recipe comes from Effen Vodka, though it should work with any black cherry vodka. What the name doesn't suggest is that it also includes a bit of blood orange, lime, agave, mint, and strawberry into the mix. To make the drink, muddle all the ingredients, except the vodka, in a mixing glass. Then add the vodka and shake with ice. 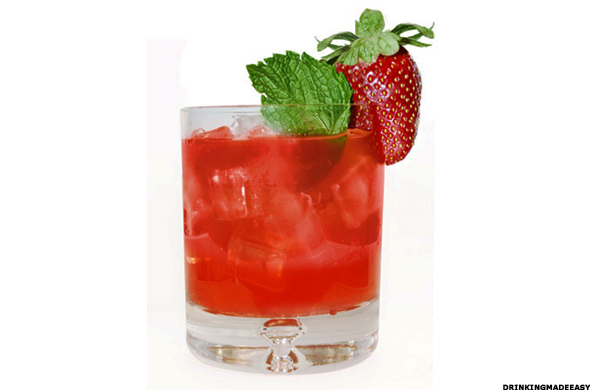 Finally, strain into a Collins glass over ice, and garnish with a mint leaf and strawberry. The Cherry Slice is another simple drink that almost anyone can make. 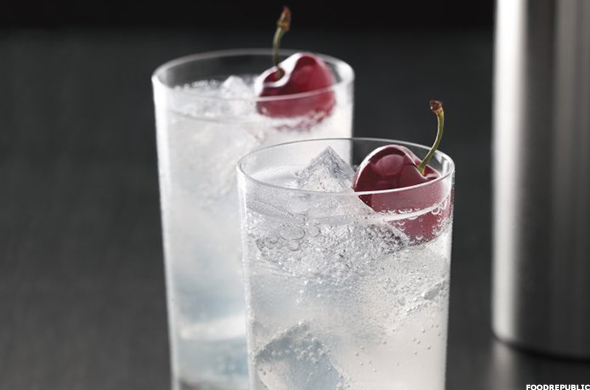 The recipe comes from Grey Goose, and calls for the brand's Cherry Noir vodka. 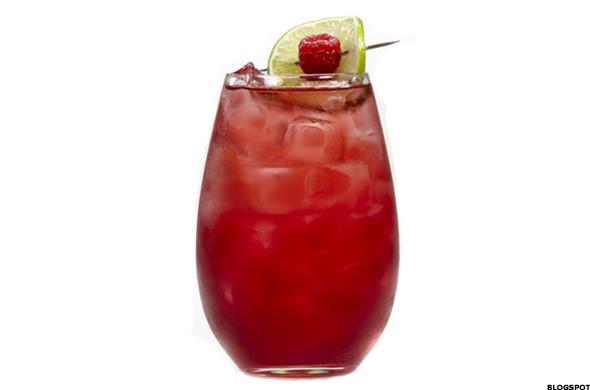 To make the drink, combine the Cherry Noir vodka, lemon, juice and simple syrup. Then top it with a splash of club soda and stir gently. The Ginger and Tito comes from Tito's handmade Vodka, but can likely be made with any original vodka. 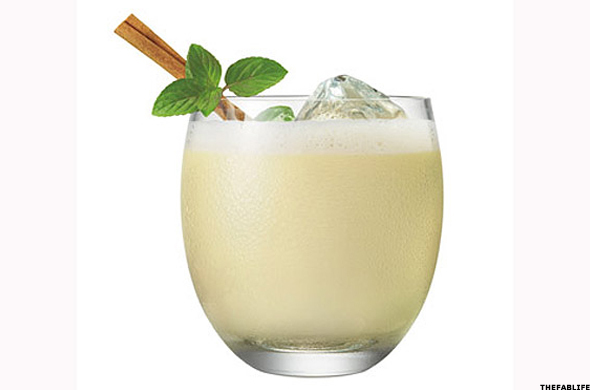 The drink is simple to make, although some of the ingredients may be difficult to find. To make the drink, simply mix the ingredients in a mixing glass with ice, stir, then pour over ice.